Services | American Marble & Stoneworks Inc.
Based in Weehawken, New Jersey, American Marble and Stoneworks has been proudly serving the NJ and NY area since 1989. We help you design your custom projects for remodel or new construction using high quality natural stone, quartz, and tile surfaces, and a variety of cabinetry options. Our team of expert craftsmen fabricate and install each project with precision and attention to detail. Our longevity in the industry is a direct reflection of every team-members’ personal commitment to service excellence and dedication to live by our core values of Integrity, Precision, Accountability and Respect. With so many varieties of natural stone, quartz, tile, and cabinetry styles to choose from, it is important to consult with the most qualified professionals to insure attention is given to key elements of your project, such as design layout, appropriate selection of materials and fabrication quality. Our designers lend their expertise to guide your selection, while our fabricators effectively capture the natural, aesthetic appeal of materials, accentuating their distinct color and veining characteristics. Successful installations are all in the details! American Marble and Stoneworks combines clear communication with attentive support to guarantee complete customer satisfaction. 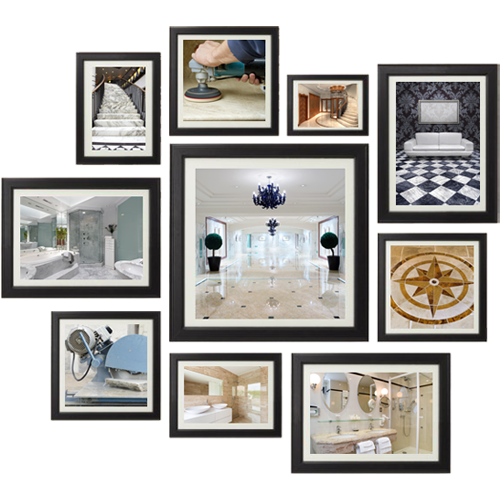 Take a look at our RESIDENTIAL WORK and COMMERCIAL WORK pages to learn more.